Earlier this month Kaunas University of Technology (KTU) organised meetings of representatives of European Consortium of Innovative Universities (ECIU) in Vilnius and Kaunas. 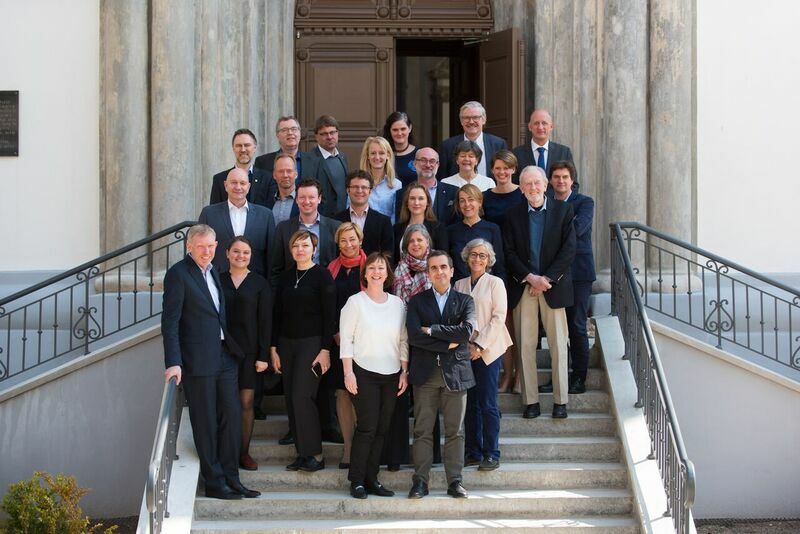 The members of the Board, Vice-Rectors for Research and Innovation, leaders of PhD schools and other representatives of innovative universities from 12 European countries and Mexico were discussing the issues of one European Diploma and university networking. This was the first ECIU meeting of this scale in Lithuania. According to Asta Pundzienė, KTU Vice-Rector for Research and Innovations ad interim, the involvement of innovations community into scientific research is becoming more and more important in the context of European higher education. European Commission is aiming for more close collaboration between researchers, society and business, which engages all the stakeholders into the process of setting the needs and goals for research. “The main aim is to transfer the science and universities’ production into society and business as soon as possible. This is a very acceptable position for KTU, as our goal is to ensure the shortest possible the time gap between the idea conception in the laboratory until its reaching companies and final users”, says Pundzienė. 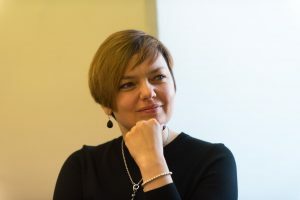 According to Professor Pundzienė, who is also the Vice-President of ECIU, Europe has a clear aim to integrate science, studies and business into so-called “knowledge triangle”. “This attitude is in KTU’s, and other ECIU universities’ nature, therefore we are following the good practices of our partner universities, processes and methods of integrating science into studies, of involving students into creating innovative learning with great interest”, says Pundzienė. According to her, the greatest asset of ECIU is having a network of 12 innovative universities, sharing good practices, which enables creation of new ideas on how to improve. Networking makes research projects to develop faster, and to accomplish more. KTU Rector ad interim Jurgita Šiugždinienė participated in ECIU meetings and discussions in the Lithuanian Ministry of Education and Science, with the representatives of the Invest Lithuania and Enterprise Lithuania agencies. The discussion in the Ministry was focusing on the European Education Area idea and European universities network, which aims to encourage student mobility in Europe, to eliminate the mobility obstacles and to implement the idea of one European Diploma. The possibilities of ECIU to participate in the first stage of the project were discussed. internationality. All we have to do is to do our homework, which means changing our study model and moving towards three-year bachelor’s and two-year master’s studies common for European universities”, says Šiugždnienė. According to Pundzienė, higher education is very important for enhancing European integration and identity. “The common European diploma is our ultimate goal. Today’s student is a global citizen who needs to get to know different cultures, to gain varied experience. This can be achieved only by participating in a network structure, which unites the programmes and experiences of different universities”, says Pundzienė. She is convinced that international experience is perceived as a very attractive feature in the job market. International enterprises, which have divisions in different countries, especially value graduates, who can adapt to working in culturally different environments. One of the possibilities ECIU provides for young researchers is encouraging staff mobility and multicultural cooperation skills in ECIU Doctoral Schools. According to Leonas Balaševičius, Head of KTU Doctoral School, sharing good practices with other ECIU members was very useful. “We have agreed upon connecting PhD students and their scientific supervisors to ECIU partners, upon introducing ECIU mobility and internship possibilities, upon participation of scientists from ECIU universities in the PhD thesis defending boards, and that’s only the beginning”, says Balaševičius. Thanks to the ECIU research mobility foundation established this year, KTU scientists can apply for funding for joint research, science publications and projects. ECIU unites 12 universities from Europe and Mexico; KTU joined ECIU in 2016 and is the only Lithuanian university in the Consortium. For more information on the European Consortium of Innovative Universities, read the first issue of ECIU magazine.